Hundreds of people gathered at the corner Penitencia Creek on Saturday night to mourn the loss of a man that was shot and killed in San Jose late Friday. Family of 32-year-old Jacob Dominguez are frustrated that police officials have not informed them of anything related to the matter. Dominguez was a father of three, on his way to see his kids when he was shot and killed. Police said the shooting occured shortly after 7 p.m. in the area of White Road and Penitencia Creek as officers attempted to conduct a vehicle stop on a suspect who had a felony warrant for robbery. "As officers were conducting the stop, shots were fired and the suspect was struck at least one time by the gunfire," police said in a press release. The suspect was pronounced deceased at the scene, according to police. Officers said they had no new information regarding at the moment. 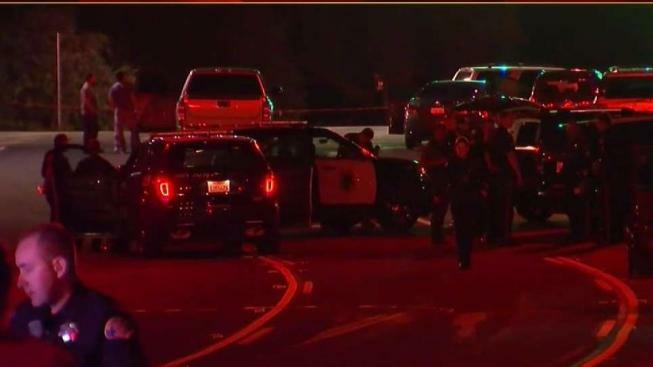 BREAKING: SOURCES: Officer involved shooting in San Jose. Officers appear to be ok.